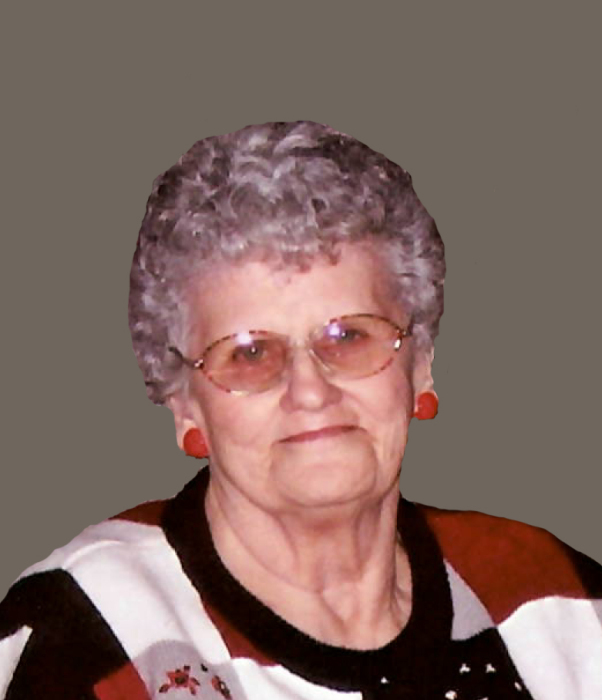 Darlene Joy Olson, age 88, resident of Graceville, MN, died on March 21, 2019 at Essentia Health Grace Home in Graceville, MN. A funeral service will be held on Monday, March 25, 2019, at 11:00 a.m. at Trinity Lutheran Church in Clinton, MN, with Pastor Dave Tonn officiating. Visitation will be held on Sunday, March 24, 2019, from 5:00-7:00 p.m. at Mundwiler and Larson Funeral Home - Moberg Chapel in Clinton, MN. Visitation will continue one hour prior to the service at the church. Interment will take place at a later date in Stordahl Lutheran Cemetery in Galesburg, ND. Darlene Joy (Green) Olson was born on September 22, 1930, to Frank and Louetta (Alberts) Green in Galesburg, ND. She was baptized on October 30, 1930, at the Presbyterian Church in Galesburg. She attended public school in Galesburg and upon completion of her education, was employed as a nanny and housekeeper. Darlene was united in marriage to Sigvard John Olson on December 10, 1950, in Portland, ND. In July 1951, the couple moved to Clinton, MN, where Sig became a grain elevator manager. Their church affiliation was Trinity Lutheran in Clinton, where Darlene was confirmed. They were blessed with one daughter, Deloris. Darlene’s main occupation throughout her life was being a homemaker, but she also worked at a restaurant in Clinton for a short while. In life, she cherished her three grandchildren who loved to spend the night at Grandma and Grandpa’s whenever possible. She also adored her six great-grandchildren, playing games and cards, going to the lake, and talking on the telephone. At Grace Home, she had her own craft area where she worked on all sorts of different projects and loved being creative. Darlene will be deeply missed by her daughter, Deloris (Joel) Churness of Madison, MN; sister, Eloise (James) Walton of Graceville, MN; three grandchildren: Patrick (Stephanie) Budgett of Rice, MN; Bernadette (Chris) Clave of Polson, MT; and Ryan (Paulette) Churness of Plymouth, MN; six great-grandchildren: Adalyn Churness, Landon Churness, Dawson Churness, Alexis Clave, Finley Clave, and Grayson Clave; niece, Janell Walton; and nephew, Richard (Nicole) Walton. She is preceded in death by her husband; parents; uncles; and aunts.